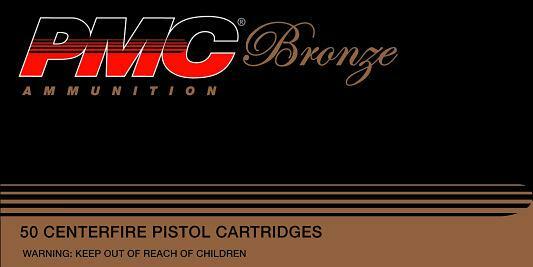 PMC Bronze Line Handgun is manufactured with the same quality and dependability built into the Starfire ammunition as well as all extensive line of PMC training ammunition and standard hollow point or soft point ammunition. All PMC cartridges must pass through the rigorous inspection of the electronic powder check station. This station accurately measures the propellant charge in each round. It the propellant in any cartridge varies by a tiny amount even two tenths of one grain the system stops and that cartridge is discarded. No other ammunition manufacturer can truthfully assure you greater uniformity and reliability than PMC.